At Beacon Insurance Agency, we focus our specialization on working with churches, nonprofits, and private schools to offer them the type of protection they need in order to safeguard every aspect of their church or organization. The need to prevent loss and minimize risk is paramount, and so we offer various options to customize a risk management policy for them and provide church risk management programs to better equip them with ways to reduce the danger of suffering irreparable losses. 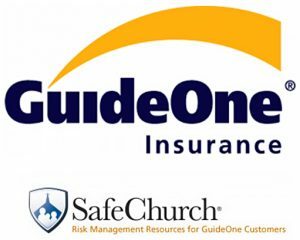 Through our work with GuideOne SafeChurch, we can provide the educational support and guidance our clients need to continue their work and grow their ministries with as little risk possible. Starting a Safety Ministry offers a clear plan for beginning safety and church risk management measures, firstly through the provision of motivating factors for their implementation by outlining a simple, values-based approach to understanding that safety is a crucial component of ministry and undertaking basic steps to create a safer environment within the church. Emergency Preparedness centers around the necessary steps involved in preparing your church for emergencies and crises including fire or medical emergencies, violence, natural disasters, terrorism, and even immoral or criminal acts committed by clergy or church leaders. Facility Safety concentrates its focus on taking steps to maintain the safety of the church buildings and grounds including the minimization of danger surrounding the operation of heating and air conditioning systems; reducing the risk of slipping and falling accidents; safeguarding the work of groups and contractors outside the employ of the church; and preventing electrical hazards, water damage, fire, property crime, and kitchen accidents. Financial Safeguards are an aspect of risk management that provides a guideline for preventing embezzling, theft, and the mishandling of church funds. Employee and Volunteer Safety offers risk management resources to ensure the safety of workers and volunteers and includes guidance on maintaining physical safety and addresses issues regarding workers’ compensation as well as implementing employment practices safeguards, programs for the prevention of adult sexual misconduct, reducing board member liability, and clearly defining the role of church ushers. Children and Youth Safety defines steps for safeguarding children against such dangers as sexual abuse and injuries while they are in the care of the church and its workers, including the time they spend in the nursery, on the playgrounds, and during their participation in recreational activities. This aspect of the program also provides advice on selecting and supervising both paid employees and volunteers working with children and youth. Transportation Safeguards addresses safety regarding church transportation, not only in the selection and maintenance of church-owned vehicles, but also for those that are rented or borrowed by the church, school, or organization. In addition, the guide also offers education on the wise selection of drivers and ways to maintain passenger safety. At Beacon Insurance Agency, we know that the risks involved in running church ministries can be overwhelming, but we have years of experience in guiding our clients in ways of minimizing those risks so that they can truly focus on their calling. Be wise in the ways that your ministry manages the dangers and risks it faces! Call the experienced and highly dedicated agents at Beacon Insurance Agency to learn about church risk management today!